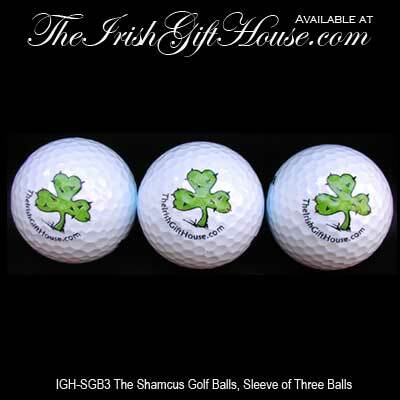 These Irish golf balls feature the shamrock of the American west, the shamcus. The Shamcus is a shamrock with cactus spines, and is the logo of The Irish Gift House. This set of 3 Wilson Ultra are Irish golf balls that feature the shamcus and they might just bring a laugh or a wee bit of luck to your game. This Irish golf gift includes a shamrock history card that is complements of The Irish Gift House.